*Availability of employment positions changes from time to time and we can make no guarantee that there are any positions currently available. Lancia Nursing Homes conducts regular Nurse's Aide Certification courses* through our registered Nurse's Aide Educator. Classes are conducted in our facilities and feature an excellent student -to-teacher ratio. Individuals desiring to care for the elderly and infirmed can become qualified nurses aides through our training program. The course is provided as a cost-free benefit to our nurse's aides in training. At Lancia's we treat our employees with respect and dignity, every job is an important job at our facilities. Because we are family operated, we personally consider all of our employee's concerns and input. Lancia's cares about you!! We also provide outstanding benefits, including a wide range of health plans. Dental and Eyes plans as well as perscription benefits. 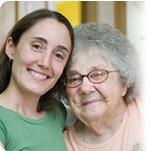 Lanica Nursing Homes is an Equal Employment Opportunity Company.